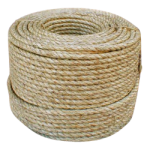 Made of a hybrid of different natural fibers, this rope offers low stretch, and moderate resistance to abrasion and sunlight. 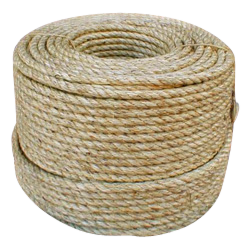 Commonly utilized for bundling or craft projects. Biodegradable.